Okay grandparents – If you don’t know anything about Angry Birds now it is time you learn. I was not a fan and the name did not sound inviting to me. I did know that it was a very popular franchise but I didn’t know that it was the most downloaded app of all time with nearly 3.5 Billion downloads. The Angry Birds Movie was in theaters in the Spring and the DVD and Blu-ray/DVD combo pack have just been released. I had the opportunity to do a review so here it is. 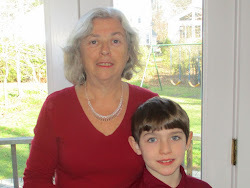 My grandson is 7 years old and so I knew that something called Angry Birds is very popular. He has the app and t-shirts and he really wanted to see the movie. I thought I might watch the movie with him and then I had the chance to see it with a larger audience. 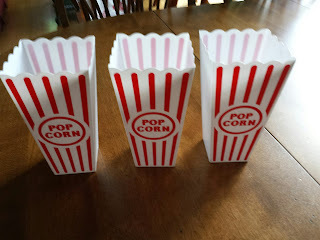 We brought the movie with us when we were away for the weekend and I got to see it with an audience of 5 kids (ages 3 – 11) and 3 adults on a large screen. The popcorn and juice boxes made it seem even more like we were at the Movies. Here’s a brief synopsis of the movie: It is about an island of naively happy birds that can’t fly. A few of them get in trouble and find themselves in anger management class (hilarious scene). 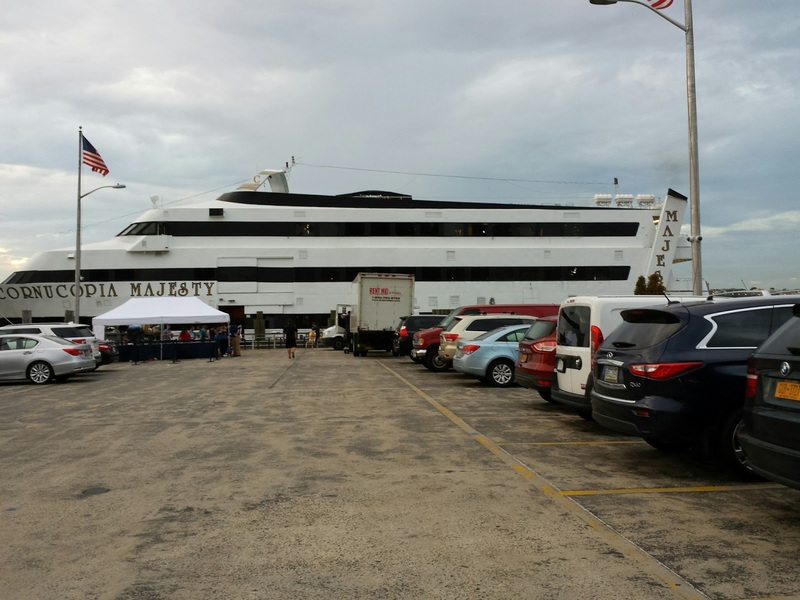 When pigs arrive on a big ship and seemingly just want to be friends, the “troublemakers” are suspicious. 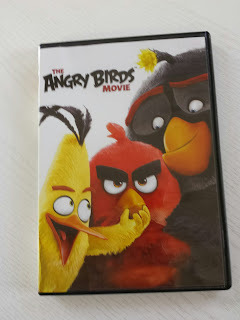 When the pigs steal all the eggs and bring them back to their own island and want to eat them, the birds turn to the anger management classmates, Red (Jason Sudekis), speedy Chuck (Josh Gad) and Bomb (Danny McBride) to lead them in the charge to get their eggs back. The trio first makes sure the birds are angry (After all, it is appropriate anger) and then jump into action to rescue the eggs. And action it is. This is full scale drama-comedy-adventure involving courage, re-emergence of the mighty eagle, incredible bouts of fighting off the pigs and of course the saving of the eggs from the fierce, well equipped pigs. The touching ending with the hatched eggs will make everyone smile. This is a movie with lots and lots of action, humor in the background that the adults will enjoy and a good story line that isn’t sticky sweet. There is an all star cast with additional voices by Maya Rudolph, Kate McKinnon, Sean Penn, Tony Hale, Keegan-Michael Key, Bill Hader and Peter Dinklage. It all comes with a bonus content including new featurettes, deleted scenes, a Blake Shelton music video and more. The DVD and blu-ray combo are available everywhere. If you grandchild likes Angry Birds consider getting it and view it together. You’ll enjoy it too. It’s Showtime Pretend Play set Giveaway from eeboo! Summer is the perfect time for outdoor group summer play with kids of various ages joining in. 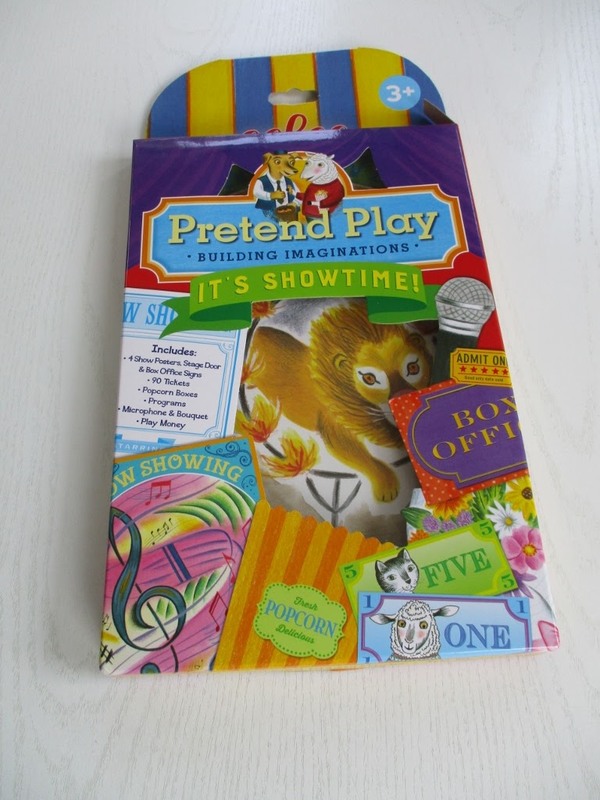 I remember when I was a kid, in our neighborhood the kids spent a week planning and practicing for a show. We set up chairs in our neighbor’s yard, their patio was the stage and behind the stairs that went upstairs was the backstage getting ready area. Some of us had costumes and props. We sold lemonade and popcorn to our parents. 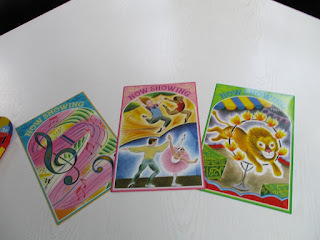 The acts included dance by those of us that had dance lessons – those Spring recital costumes got one more wearing, magic tricks, clarinet solos and whatever anyone dreamed up. This was always a last week in August activity in our neighborhood. How about you? Do you have your own memory of something like this? Please share it with us in the comments. 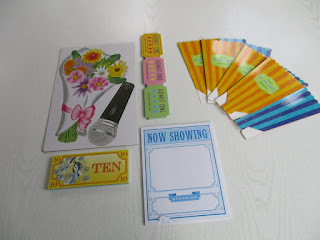 The last giveaway of the summer is here and it has just what the kids in your neighborhood –or perhaps at “Grandma Camp” need for a showtime event. The professional touches will be inspirational to get the show moving. One of the things I like about this set is that it can really encourage kids of different ages to play together and enjoy the play. If you already like The Grandma Chronicles facebook page let me know in your comment here or comment on the facebook page for your additional entry. You can have two entries by doing both. Deadline to enter:August 15, 2016 at midnight. This item can be sent to US addresses only. This post is about Babypalooza - all about products for babies and toddlers. Although I sometimes cover this topic I haven’t attended events to cultivate the knowledge and contacts to do it justice. Today so many of these products seem expensive or unnecessary to me that I just haven’t warmed up to the topic. At this conference there was everything from diaper rash creams to high end baby carrier/car seats on display – all in the same room. 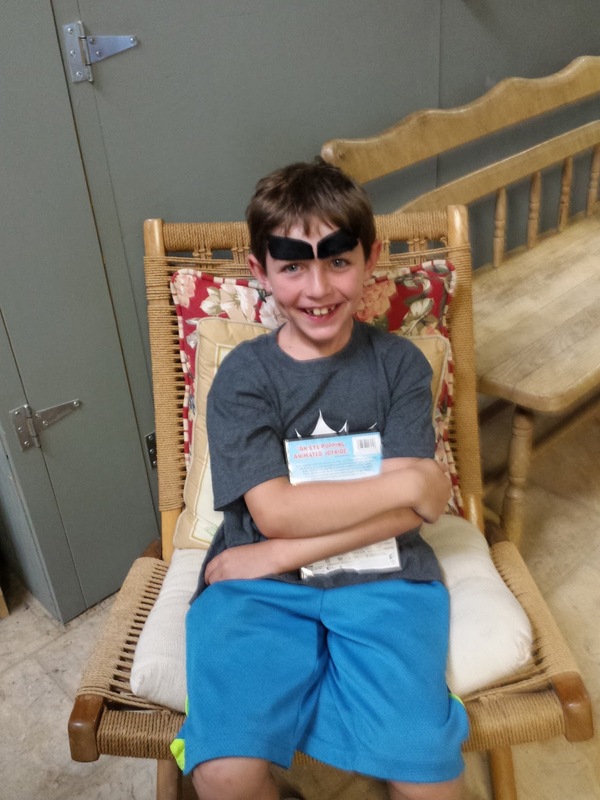 As grandparents we are sometimes amazed by – and sometimes critical of - the array of new products that we don’t know about. Here are a few new ones that don’t break the bank but that caught my attention. When our kids were babies we rarely heard about food allergies but today they seem to be very common and there are lots of products to help cope with them. 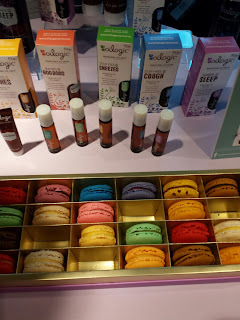 Two brand items at Blogger Bash-Babypalooza caught my eye. Once a baby graduates from breast milk or formula and enters the "real food world" it can be fraught with a whole new set of problems. Some babies are allergic to dairy products and cow's milk, eggs and cheese aren't tolerated. I know about this as my grandson has this problem and his parents are trying things like soy milk, almond milk and vegan cheese. 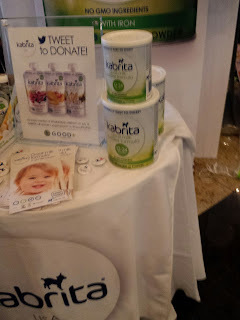 I was so happy to learn about Kabrita brand at Babypalooza. I brought home a Kabrita sample of goat milk toddler formula for babies 12 - 24 months plus a goat milk yogurt and fruit (berry) pouch. Reading the reviews at Amazon - which are 5 star - this is a product that you may definitely want to try if your baby has a sensitivity to cow milk products. It seems to be highly recommended by parents as a transition from breast milk. Another plus is that it is readily available at many grocery stores, Target, Wal-Mart, Costco and Amazon. Grandparents all agree that peanut allergies seem to be much more common today than they used to be but we don't seem to know why. 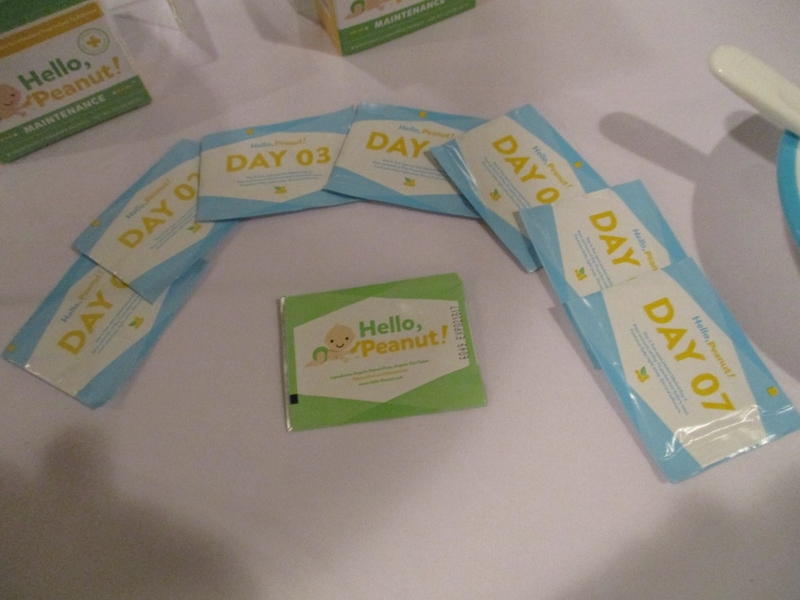 There is a new product developed by an allergist designed for babies called Hello, Peanut! Based on major studies it is recommended to introduce peanuts as early as five months old in small quantities in order to prevent peanut allergies. Hello, Peanut provides a safe way to do just that. There is a seven day introduction package and a maintenance package. A single size packet is added to a baby's meal - it is as simple as that. This is all it takes to have your grandchild not be banned from ever having the joy of a peanut butter and jelly sandwich. Parents today are very concerned about what is in the products they use on babies and toddlers. Even when it has all natural ingredients you need to be careful about concentration and dosage. Oilogic is a line of essential oils products - all natural, of course, that have been formulated to be safe concentrations for babies 6 months and older. 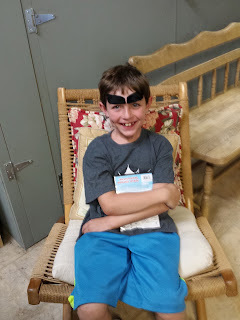 There are formulations for sleep, itches, boo-boos, coughs, bug bites and more. They come in a convenient roll-on and retail for only about $10 each. They are available at Target, BuyBuyBaby and and Amazon. Worth a try. Lets face it - diaper rash is an awful thing - it is best avoided and if it appears deal with it promptly. I first heard of Buttpaste at Babypalooza and checking out the reviews at Amazon I learn that it gets rave reviews and compares as superior to some of the popular brands I am familiar with. Buttpaste is paraben, preservative and phthalate free and comes in various strengths. 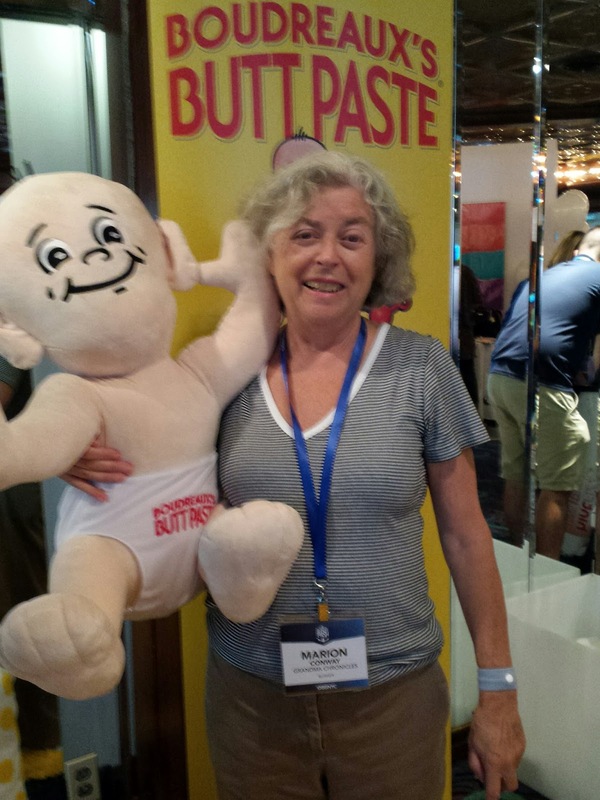 Here I am hamming it up at the Buttpaste table. What a lively group who really believe in their product! If you are a new grandparent or grandparent-to-be the term “Baby wearing” is probably new to you. If you are of my generation you may remember the “Snuggli” which was all the rage. Baby wearing is a modern day version of that. I remember somehow getting myself into this contraption and then walking around carrying my baby in it. There are some “baby wearing” carriers that are very similar today and require a bit of a project to put them on before you put the baby in them. And, of course, they are expensive. 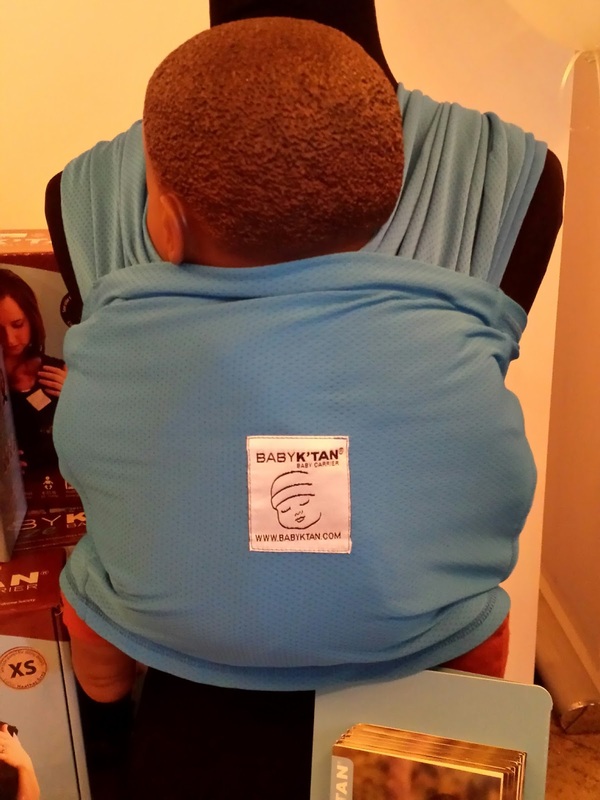 Baby K'Tan caught my attention because it is essentially a baby carrier that you easily slip on like a tee shirt and safely secure the baby. The woman at the K'Tan table demonstrated taking it on and off and I watched her several times. I think even I could do it. It looked much more comfortable than many of the baby wearing products I have seen. It is reasonably priced at about $60. It doesn’t weight a ton and can easily come with you stored in the diaper bag. If you are a grandparent who has your own baby equipment you may even want your own. That's it for the baby item reviews for now. Follow The Grandma Chronicles on facebook to stay posted on my reviews and giveaways coming in the future. 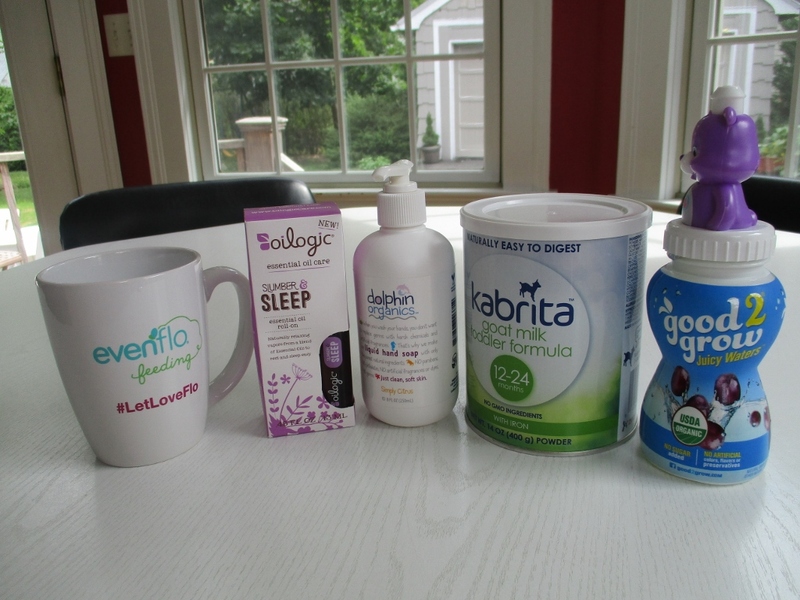 And thanks Evenflo for the very nice mug even though you did not have a product display. Parents and grandparents need cooffee too. 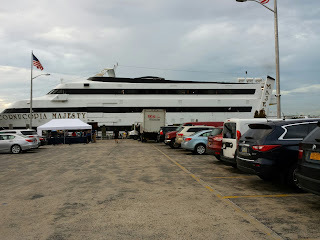 I sure hope i get to go to Blogger Bash next year. Check out these products at Amazon.